According to Major Nelson, a new Xbox 360 will launch this holiday season alongside the release of Halo 4. The new Xbox will feature a 320GB harddrive, will come with two controllers, and a copy of Halo 4. Oh and it will have a badass paint scheme and will be Halo 4 themed. The ring of light on the new console will be blue, in accordance with the color theme of Halo 4. The new edition Xbox 360 will come with exclusive Halo 4 downloaded content, only available with purchase of the Halo 4 Xbox 360 LE. 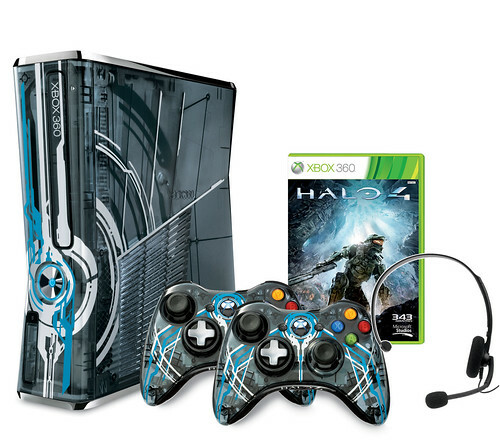 The Halo 4 Limited Edition Xbox 360 will be available on November 6th of this year, when Halo 4 is released, and will have an MSRP of $399.99. You can preorder the console now at Amazon.